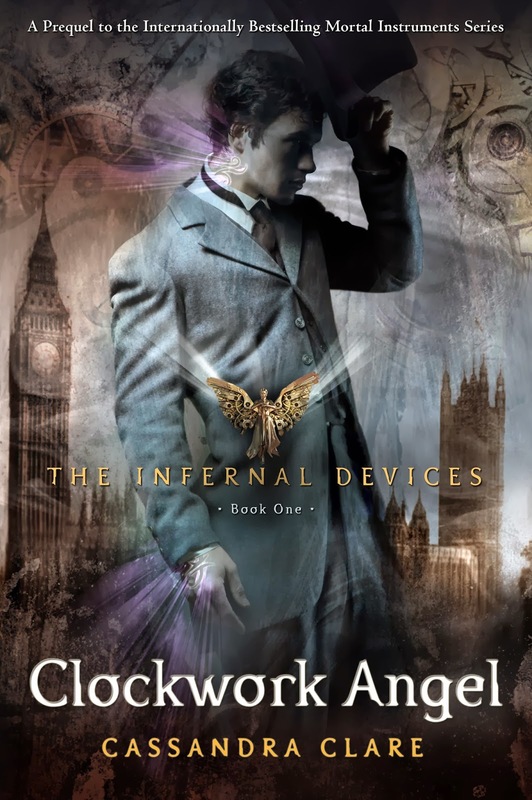 Whilst Clockwork Angel by Cassandra Clare was very enjoyable to read and there were some great moments, there were also many things I found irritating about this book. I had already read the first three books in the Mortal Instruments by Cassandra Clare series and it was inevitable that I noticed the very obvious similarities. Clarissa Fray- Theresa Gray, I can't be the only one to notice the similar names and lack of creativity. But ignoring those similarities and a few others the plot was interesting, although I was generally able to foresee the twists. I really enjoyed the mystery of the shadowhunters backstories (particularly Will's) and when we did learn about them I found it really interesting. They were also quite unpredictable and I can't wait to read about Will's in the next books. The characters and their relationships were done really well, particularly Jem and Will's. I personally didn't really like Tessa's character. I thought she was a judgmental gossip who was always demanding to know everything about everyone, even though she just met them. But other than that she was alright, she wasn't a character that I didn't exactly dislike I just didn't really think there was much to like about her. Although in a way this a good thing because it makes her character seem more realistic. Despite my indifference towards Tessa the story was compelling enough to make me get over this. The dialogue was very vibrant. It was quite witty and amusing and often it was very carefully written and thought-provoking.